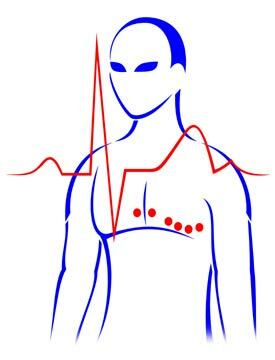 Atrial switch (Senning or Mustard) patients are at risk of developing arrhythmias, with approximately half experiencing this problem at some point. These may be either bradyarrhythmias, in which heart contractions are abnormally slow, or tachyarrhythmias, in which heart contractions are abnormally fast. The incidence of sudden death in atrial switch patients seems to be related to atrial flutter. This can be treated during a cardiac catheterization procedure with radiofrequency ablation, in which the offending conduction pathways are neutralized. However, heart block sometimes develops after this procedure. Rastelli patients also frequently develop arrhythmias and are prone to sudden death that is probably related. Tachycardias (rapid heart contractions) and heart block are relatively common. These difficulties may be related to the presence of the implanted conduit. Arterial switch operation patients uncommonly develop arrhythmia, with no more than 5% experiencing difficulties. Less than 2% develop complete heart block, most of whom had a ventricular septal defect in addition to the transposition. Sudden death rarely occurs.